Predictive analytics have been used by different industries for years to solve difficult problems that range from detecting credit card fraud to determining patient risk levels for medical conditions. It combines data mining and machine-learning technologies to create statistical models based on historical data. It then uses these models to predict future events. 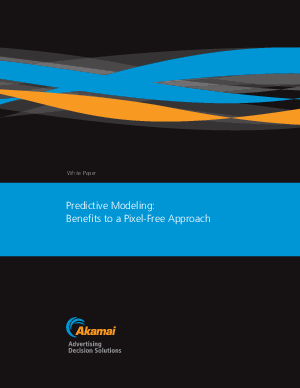 Extracting the power from the data requires powerful algorithms behind predictive analytics. Since the first e-commerce marketing professional looked to analyze data from shopper behaviors in order to drive more transactions on his web site, the only way to gather that information has been by implementing tracking pixels. These are small, transparent images embedded in websites. When users ultimately browse such a site, information is gathered about what they are doing - how they're coming to the website, what they're looking at, what they've browsed, put in a shopping cart, abandoned or bought. Tracking pixels provide both a high-level and (anonymously) individual view of certain behaviors on a given web site, and they lead to an ability to optimize based on those user behaviors. In the case of advertising, targeted advertisements based on those behaviors can then be served to users.